For over 10 years, TeamSpeak has become one of the most recognized brands of VOIP in online gaming. The recent update of the program which not only improves voice quality and latency but also enhances the program compatibility with Windows and 3rd program like AV Voice Changer Software. 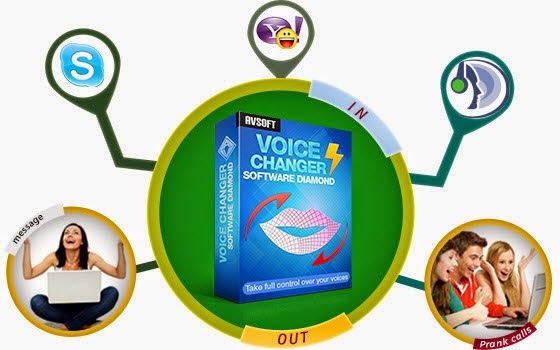 In this post, we will walk you through steps to set the AV Voice Changer Software 8.0 Diamond up and run with TeamSpeak for changing voice while in game. Any edition (?) 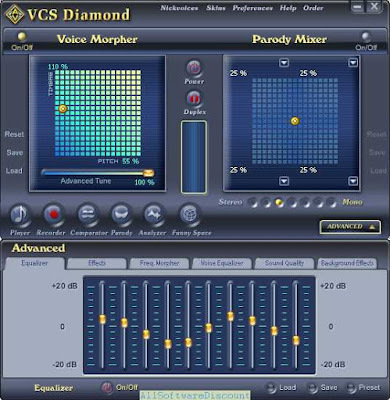 of AV Voice Changer Software 7.0 or above. Latest version of TeamSpeak 3 (client) downloaded & installed. Explore Settings menu for Options (Alt + P) commands. Select Capture settings within the left panel list of Options. 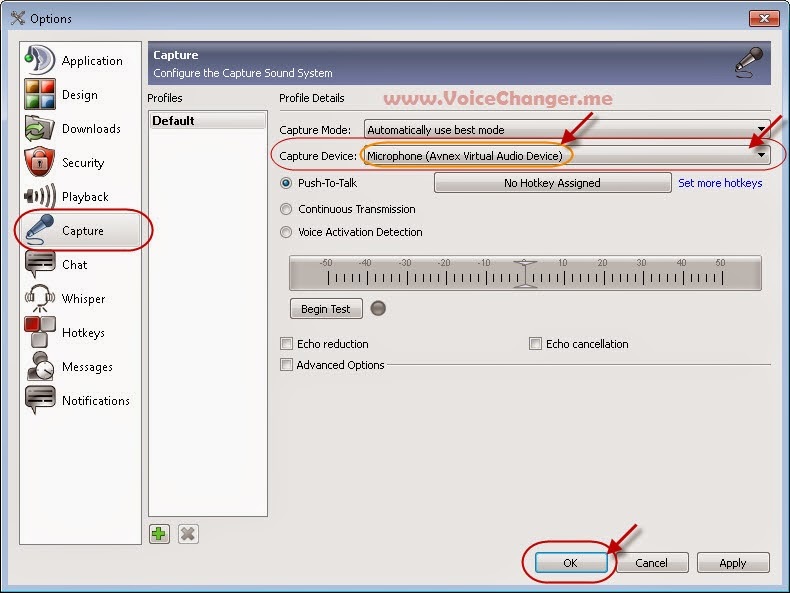 Select Microphone (AVnex Virtual Audio Device) as default driver under Capture Device. Hit Ok button to save and apply the settings. From now on, if you want to have your voice changed in voice chat session of TeamSepak, you just need to run the AV Voice Changer Software program before joining into the chat room. 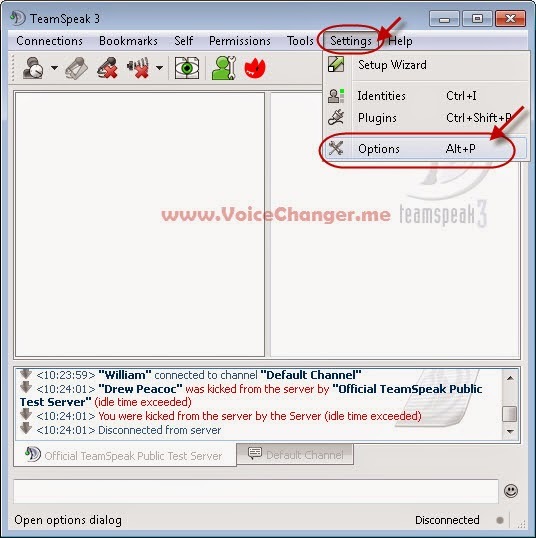 Buy Full version of the TeamSpeak voice changing program (AV Voice Changer Software 8.0 Diamond) now!